Fox has just ordered a “presentation” of the new animated series The Great North, which may be picked up and ordered to series if this first step goes well. The comedy already has several recognizable names attached to voice some of the main characters, including Nick Offerman Jenny Slate, Megan Mullally and Will Forte. The Great North will give viewers a peek into the lives of the Tobin family, who are led by a single father (expectantly Offerman) known as Beef. As if things aren’t already hard enough for the man who is raising his bunch of kids in Alaska, Beef also has to deal with his oldest daughter Judy’s desire to deviate from the family fishing business he holds so close to his heart. Fox’s newest animated project will add to a host of others that have found success with the network, if this too is brought to air. With some of the most highly-watched animated programming in all of TV history (Futurama, The Simpsons, Bob’s Burgers, and Family Guy), Fox certainly has made a name for itself in the field. This role has recently been a bit encroached, however, by the popularity gained by streaming platforms Netflix and Hulu, who too have tapped into the marketplace with their own original programming in the animated genre. The show’s lineup of stars, however, suggests that success is truly possible, with some of the biggest names in comedy already attached. 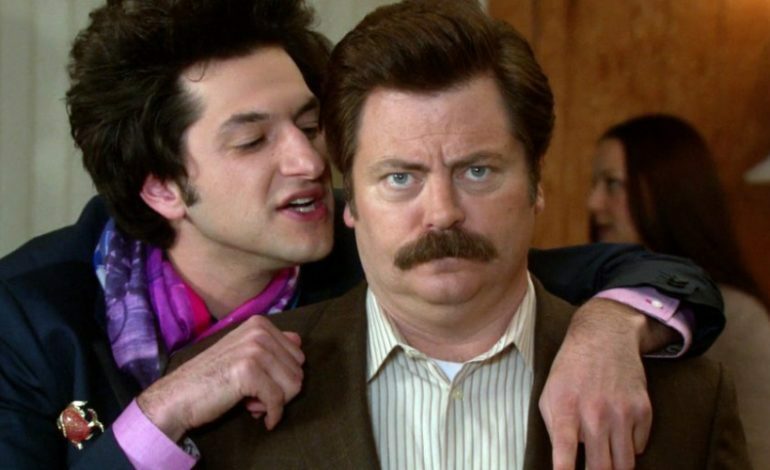 Offerman is widely-known for his role as Ron Swanson on the NBC hit sitcom Parks and Recreation, but has also recently found success as one of the hosts of the lighthearted competition show Making It, in which he continues to co-star with Amy Poehler, who played the main character in the latter program. Jenny Slate, who has also been added to the project, can be seen in Parks and Recreation as Mona-Lisa, who appeared in a handful of episodes alongside her tv brother Jean-Ralphio, as well as in Saturday Night Live. In addition, Slate has also done extensive work as a voice actress, having roles on series including Bob’s Burgers, Big Mouth, and Adventure Time. Megan Mullally, another of the signed-on voice actors, has recently come back to the screen as her already-loved character of Karen in the Will & Grace revival on NBC. She is also married to Nick Offerman, with whom she has worked together on projects many times before. Will Forte of SNL and The Last Man on Earth fame is also slated in a recurring role for the show, which Deadline confirms just performed its first read-through only a few days ago. The series will also be supervised by Loren Bouchard, the creator of Bob’s Burgers, who will work alongside Wendy and Lizzie Molyneux, two of the aforementioned program’s writers.